The makers claim it will offer a “serious, cardiovascular workout”, suggesting an impressive level of intensity, but what do buyers think? What benefits have buyers enjoyed while using this Body Sculpture BC4620? 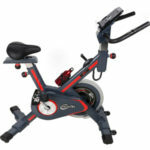 The online feedback for this Body Sculpture exercise bike is encouraging because there are many different aspects being highlighted, from the ease of assembly to the way that the bike offers a great workout and potential for weight loss. For the most part, buyers are happy with the console, which has a scan mode, as well as the ability to read calories burnt, speed, distance and time, as well as the lack of noise and the size of the machine – many call this a compact product, which is understandable given the dimensions of 121.5 x 66 x 118cm. Another point that has been raised in these 5 and 4-star reviews is the way that the adjustable manual tension dial can be finely tuned for personal preferences but, as the critiques show, not everyone agrees with this notion. 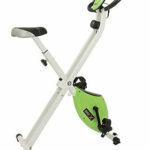 Why has this Body Sculpture BC4620 Exercise Bike received such contrasting opinions? There really is a massive difference in opinion between some of the reviews for this bike: on the one hand you have people talking about the adjustability, suggesting that it measures up to outdoor road bikes, and the apparently huge variability in resistance levels, from very easy to almost impossible. On the other hand you have those that criticise the small size and flimsy build quality and offer the idea that men cannot exercise with the force and intensity they desire. Aside from this specific dispute over the purpose and quality, there have also been comments about the quality of the cheap saddle and the bottle cage, the inaccuracies of the speed readings on the console and the position of the bar, which has led to a few bashed knees. 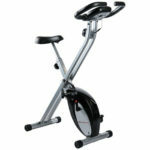 Summary: with such a difference of opinion, can this Body Sculpture Exercise Bike be recommended for purchase? Complaints made about this bike have lead to the question of whether it is in fact more of a girl’s exercise bike because of the issues regarding the size and shape and the idea that some men find it a bit simple. 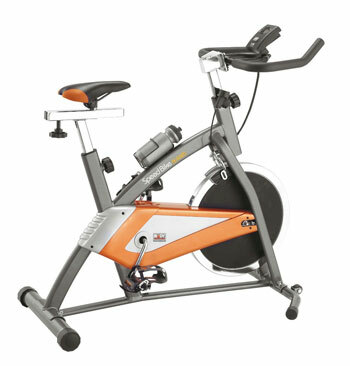 With the additional comment that it feels like a hybrid of an exercise bike and spinning bike, it becomes even harder to judge the target audience. Clearly this Body Sculpture bike isn’t for everyone; however, if you are looking for something quiet, compact and varied, you don’t mind altering the bars and saddle or you are a girl – therefore eliminating any possible gender issue – this could be a great weight loss aid.